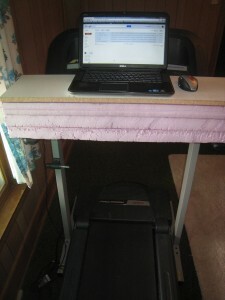 I’ve had various folks express interest when they hear I work on a treadmill desk during the week. When I started freelancing full-time, I realized that for the previous 5ish years, all my jobs had involved sitting at a desk at least 8 hours a day. Then I’d go home and write or game or surf online for another handful of hours before bed. It added up quite a bit, and my overall health was showing it. 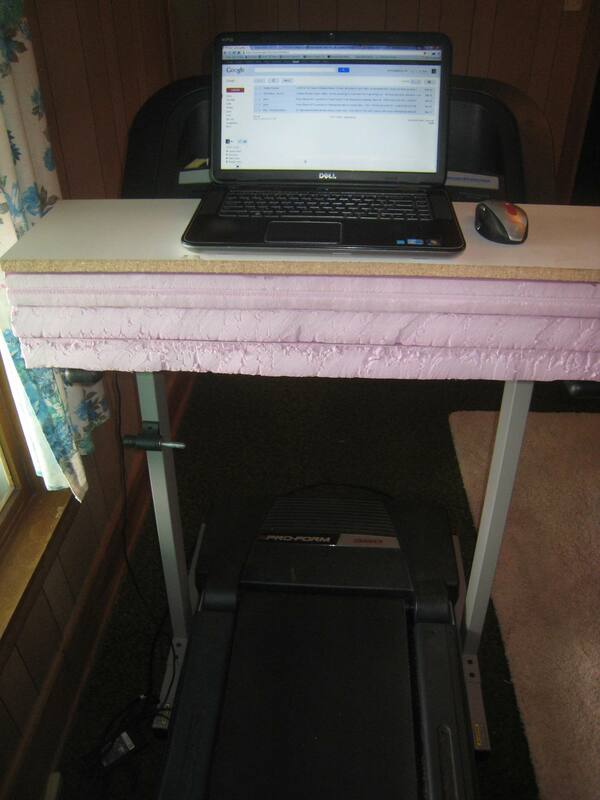 As a way to kick my mind and body up a notch, I started researching treadmill desks and eventually cobbled one together that I’ve been using now for just under 2 years–and loving it. Plus, I’ve found that the simple act of a slow walk (usually between 1.5-2mph according to my treadmill’s speed counter), helps me be more productive. While I’m walking, I’m working. In-between bigger tasks, I’ll pause the track and give myself a physical/mental break by putzing around online for a bit. Then it’s time to get walking and working again. 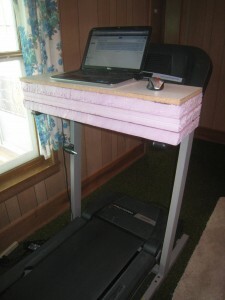 Anyways, some of you may have run across those “official” treadmill desks out there. You know…the ones sold for anywhere from $500 to $4,000. Obviously, freelancers and/or writers don’t often have that kind of cash to splurge on such a device. 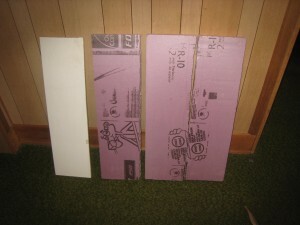 The good news is, you can build one yourself for right around what it cost me: $120! I measure the arms and figured out a comfortable overlap. Then I simply cut the foam and sawed the board into equal-size layers and placed them on the arms. 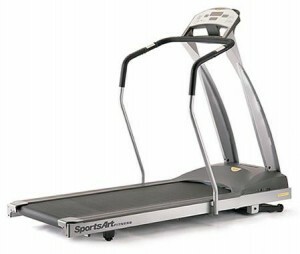 The treadmill is stable enough and the particle board is heavy enough that it doesn’t shift or wobble, even at higher speeds. 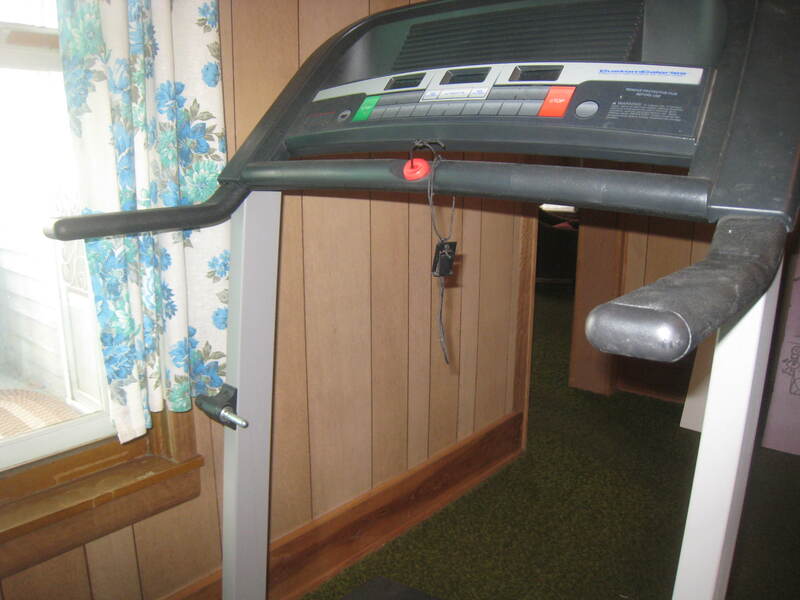 If you’re worried about that, there’s always duct tape or you could pick up some metal clasps or something to attach the desk to the treadmill arms, but it’s never been a problem for me. 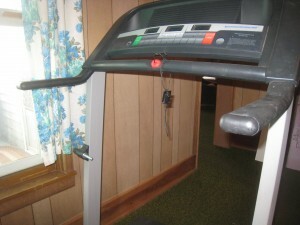 If you want to get fancy, you could also set your treadmill by a wall and get a wall mount for your computer monitor so it comes in at eye level. I use a laptop, so I have to make sure I don’t bow my neck too much while working. If you have the right height for the desk, it shouldn’t be too hard to keep your head and neck straight while lowering your gaze to the screen. That’s all there is to it! Once the desk is set up, spend a bit testing different speeds to figure out how slow or fast you want to go. Again, for me, 1.5-2mph is slow enough that I don’t get distracted by the physical effort, but fast enough that I often get in anywhere from 5-8 miles of walking a day. You’ll be surprised how quickly it adds up! Have you ever given a treadmill desk a try? If you have one, or if you build one in the future, shoot a photo my way! I’d love to see how your work/workout space turns out! What other tricks do you have to keep active during the day or at the office? Next Post Book & Game News! Thank you for this Josh! Have you heard of the NextDesk Fit? 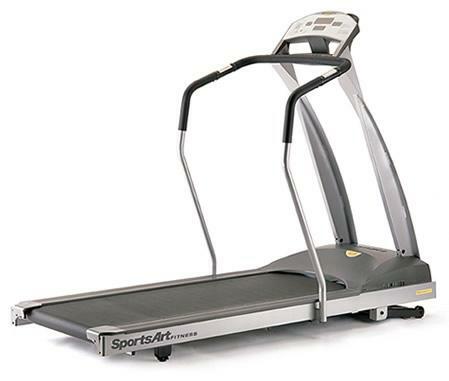 It’s the newest release from the folks at NextDesk; it’s a treadmill desk. I don’t have one (yet! ), but I have tried one out because I was a little skeptical. I found it really easy to keep walking while I was typing and reading documents. The key is, you’re just not going that fast, so you can keep doing what you’re doing. When you’re on the phone or something, you can crank up the speed a bit. Anyway, I was a skeptic at first, but then I tried it and now I am eagerly awaiting the day when I can get my own. So if you ever feel like upgrading to a real desk, with more of a desktop, check this one out. I’m pretty excited about it.